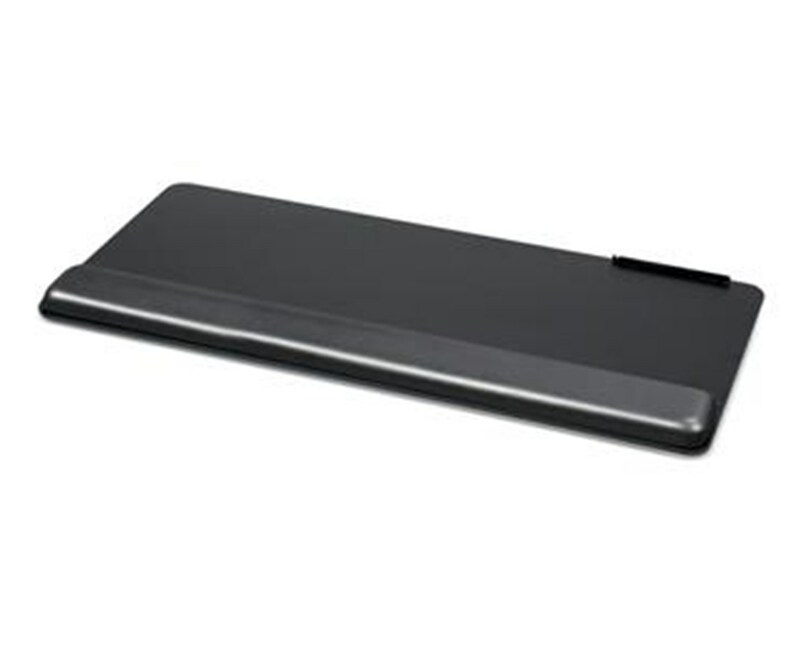 ESI's Rectangular Keyboard Platform offers a simple but efficient solution to your workspace needs. The platform accomodates both the keyboard and the mouse on the same level, providing comfort and ease of use. The detachable single palm rest means the platform is perfect for left- or right-handed mouse users. 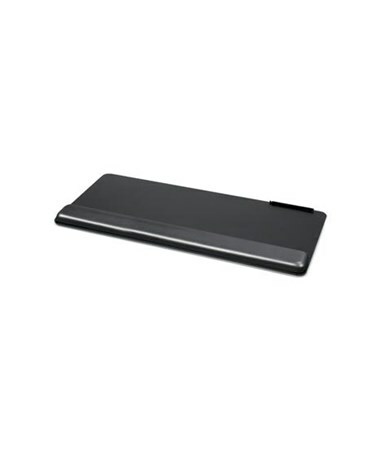 The 2.5" leatherette-covered gel palm rest is made free of formaldehydes and carcinogens, making it an eco-friendly and comfortable feature of the platform. The leatherette material can be cleaned and sanitized, and removal of the entire palm rest allows for thorough cleaning of the platform. We offer ESI's Rectangular Keyboard Platform in three different widths (custom widths are available, contact Customer Service for more info). Select from the drop down menu above and order online direct by clicking "add to cart!" Available in standard widths of: 19", 25", and 27"